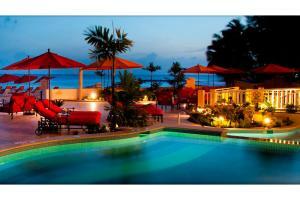 This beachfront resort on the south coast of Barbados offers guests affordable luxury in an idyllic setting. Whether you are a couple looking for a perfect place to start your forever, a couple seeking a bit of solitude and romance, or a family, Ocean Two has something special for you. The resort features beautifully appointed rooms and suites, impeccable service and a wide range of amenities for your comfort and convenience. Located only 5 miles from Bridgetown and 20 miles from the Grantley Adams Airport.